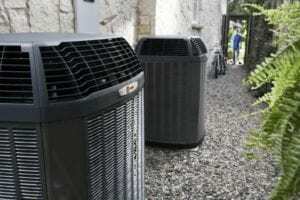 When your air conditioner breaks down during a heat wave in Krugerville, it’s important to find the right company to perform repairs on it – otherwise, you could end up with even more A/C problems down the road. Cote’s Mechanical is the right company to go to for your HVAC needs, especially when you need emergency repairs. Our company also provides dependable installation services when your system breaks down or you need to switch to a more efficient system. At Cote’s Mechanical, our technicians can handle all kinds of residential and commercial HVAC services. Whether you need a tune-up for your heater or repairs for your central air conditioning unit, we’ll be here to help you out. We offer free service calls with repairs and free estimates for installations. 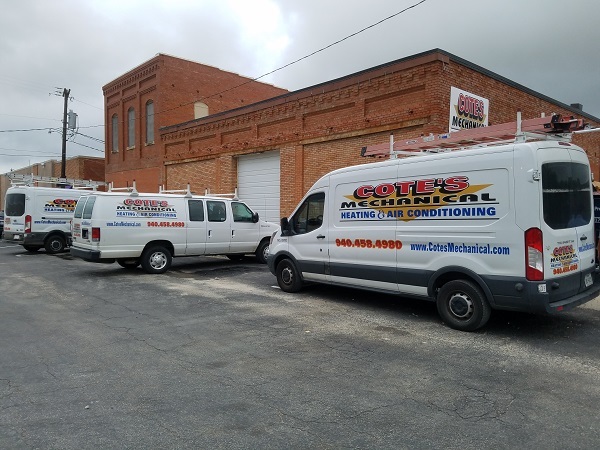 When you’re interested in investing in a ductless air conditioning system or need repairs for your heat pump, Cote’s Mechanical can help. Our team can help you choose your new HVAC system or take care of any problems you’re having with your current system. We have licensed technicians available who have many years of experience working on HVAC systems. Our company can perform routine maintenance for your heating and cooling system to help it stay in excellent condition throughout the years. We also offer replacement services for equipment that’s worn out and air duct cleanings for improved home efficiency and comfort. When you have Cote’s Mechanical take care of your HVAC needs, you never have to worry about receiving poor service. We have been dedicated to providing great customer service to Krugerville customers since 2001. Our team of more than 40 employees provides timely and professional service for homeowners and commercial property owners in the area. Online reviews of Cote’s Mechanical frequently mention our company’s reliability and prompt service. Our customers know that they can depend on us to be there for them when they run into an unexpected problem, such as an A/C unit breaking down. Several neighbors have also recommended our company on Facebook and Nextdoor. Due to our commitment to high-quality customer service, we have received awards from well-known organizations. Angie’s List awarded us with the Superior Service Award in 2016, and we have been certified for North American Technician Excellence. We have certification from Trane as one of their Trane Comfort Specialists, and the Better Business Bureau has given us a high A+ rating. We also have accreditation from the Air Conditioning Contractors of America. Krugerville residents bring in an average income per household that is roughly double the national and state averages; the average household income in Krugerville is $107,723, while the Texas and U.S. averages are around $55,000. Homes in Krugerville have a higher average price of $202,500, compared to the Texas average of around $142,000 and the national average of around $184,000. Around 1,700 people call Krugerville home. Those who live here have convenient access to big cities and towns via major roadways. Plano is about 45 miles away via the Dallas North Tollway, while Dallas is about 47 miles away via I-35E S. Denton is about 13 miles away via US-377, and Fort Worth is about 53 miles away via I-35W S.
There are great places to eat and fun outdoor attractions and amenities just outside Krugerville’s borders. Ernesto’s Fine Mexican Food offers delicious meals in a friendly environment, while Turn 3 BBQ has filling entrees of pulled pork and other barbecue dishes. Hopper Ranch in nearby Audrey offers horseback riding lessons, while Leslie Park has a playground for kids to enjoy and green space for picnics and other outdoor fun. Clear Creek Natural Heritage Center in Denton is just a short drive away for outdoor enthusiasts. Krugerville residents who are interested in volunteering can look into joining local boards and commissions or the City Council. Some of the boards and commissions in the city include the Krugerville Economic Development Corporation, the Planning and Zoning Committee, and the Krugerville Community Development Corporation. When you have a heating or cooling system that stops running or isn’t working properly, give the experts at Cote’s Mechanical a call for service. Our team of professional HVAC technicians provide high-quality heating and cooling services – including repairs, maintenance, and installations – for home and business owners in the Krugerville area.